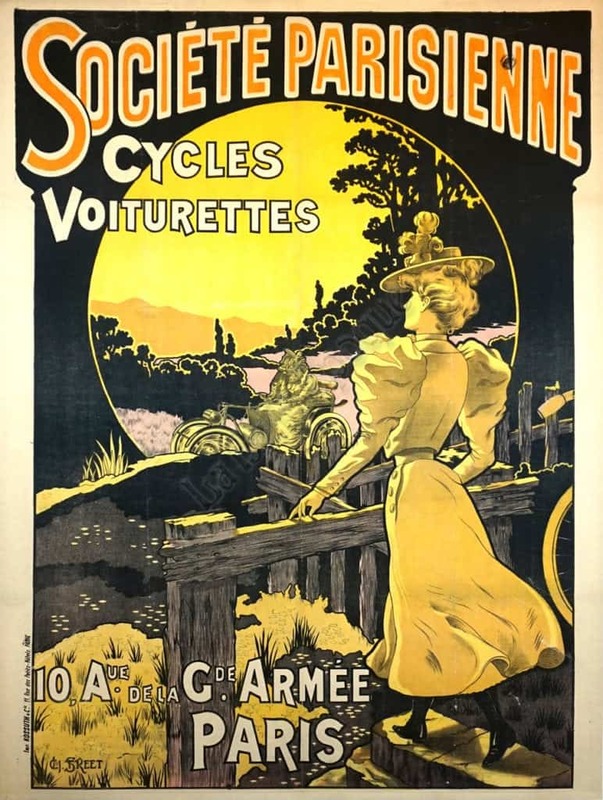 This is a beautiful and exquisitely made French Art Nouveau period poster for Societe Parisienne – Cycles Voiturettes, Paris. This stone lithograph was designed by CH. Street. This rare poster features a scene with unique coloring of black and grays around the edges, yellows and oranges in the central sunset; a beautifully dressed woman is walking out to a pink road in the background where an automobile is waiting. It has large orange and white lettering across the top and along the bottom left side. This original poster was printed by Kossuth & Cie., Paris, 1890.